The AMGA is an equal opportunity provider and is an authorized permittee in the public lands in which it operates. What are your top 2 favorite places to climb? Who is your climbing hero and why? I’ve got tons of heroes. Our sport is so diverse and has such a lively history. I have always admired Charlie Porter, he put his stamp on climbing in such a powerful way and at a time when things were still wide open. Alan Watts tore into sport climbing during the eighties and early nineties in a way that was so relentless and new, he pretty much single handedly put Smith on the map. 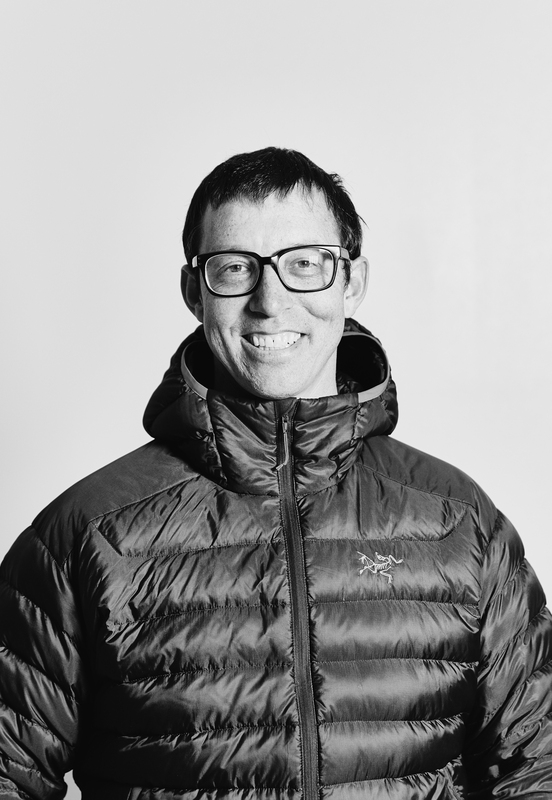 It’s hard to have started climbing when I did and not be in awe of John Bachar’s climbing, he shattered the mind barriers that led to things that Michael Reardon, Dean Potter, Alex Honnold, Will Stanhope and tons of other people have gotten in to. Lynn Hill for her grace and power and totally shattering lame preconceptions about women and climbing. Peter Croft, Rolando Garribotti, Jerzy Kukuczka, Wanda Rutkiewicz, Mugs Stump, Herb and Jan Conn…. How about Rich Romano here in the Gunks? He put up a dozen or more climbs at Millbrook that are every bit as hard, daring and beautiful as Krystal Klear, Bachar Yearian and Perilous Journey that nobody even knows about. I saw Rich the other day at like six in the morning walking up the road to the cliff with his pack on, a rope over each shoulder bandolier style, stuffing a giant garbage bag with trash he was picking up from the side of the road. That dude rocks! What are your top 2 favorite places to ski? Who is your ski hero and why? My old friend Matt because teaching skiing is the only job he’s ever had, he’s a total lifer and though he’s a big dude on skis he’s Fred Astaire. What’s one little known fact about you? I spent about ten years working for a business turn around firm in Boulder, CO. Sometimes I wore a tie. Right around the time I realized I had to get out of there I had a corner office on the eighth floor of a building at Interlocken in Broomfield. I could see the summit of Longs Peak, the Indian Peaks and all the way south to Pike’s from my window; so close yet so very far away! My wife and I met at the Stage Stop Saloon in Rollinsville, CO. These days we live in the Shawangunks with our daughter, son, cat, dog and twenty chickens. I started climbing when I was a teenager and it’s been at center of my life for over thirty years. I worked for a guide service for ten years before starting my own service in January of 2016. 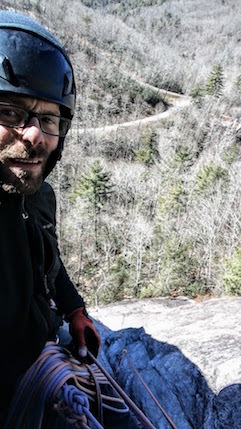 I guide rock and ice climbs in the northeastern US, especially here in the Gunks, as well as early spring and late fall trips to Red Rocks and occasional visits to the Colorado Front Range where I lived from 1994-2003. In addition to guiding ice climbs in winter I work as a professional ski patroller at a local resort in the Catskills. I am an EMT and have volunteered on my community ambulance squad since 2006. I climbed Epinephrine at Red Rocks with a woman that had first imagined doing the route ten years before. I have worked many days with her over the years and in a variety of places from Carstenz Pyramid to Cochise Stronghold. Her toughness and determination has always amazed me. The chimneys that guard the the more straightforward climbing above were incredibly challenging for her and yet there she was on a chill November morning scraping, grunting and groaning her way tenaciously upward. On the summit of Black Velvet Peak she thanked me and wept from the effort and joy of accomplishment. We got down to the car just as darkness settled onto the desert floor with silence and stars. Tommy Caldwell. 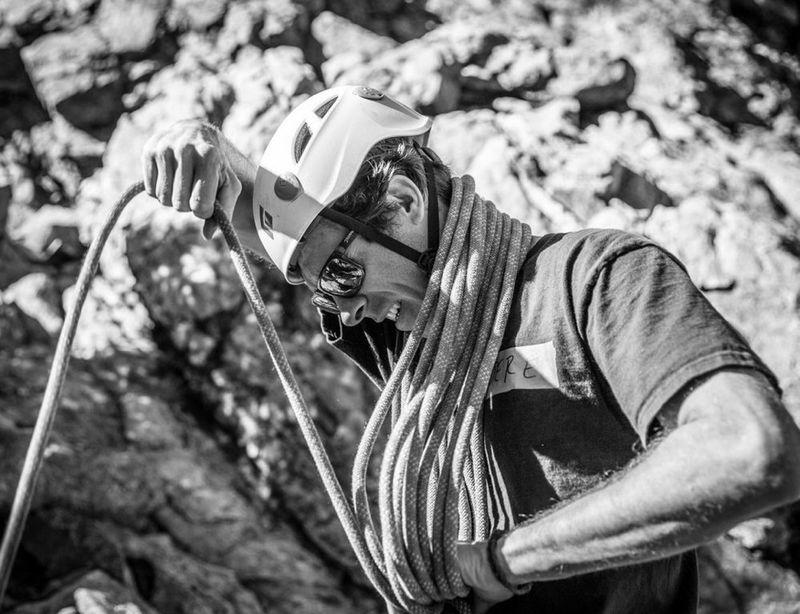 I have tried to continually learn new skills and venture into different avenues of climbing from bouldering and sport climbing to alpine climbing and beyond. Tommy has pushed what it means to good at all mediums of climbing and his dedication to his breadth of skill is inspiring. He also seems like a genuine and honest human and that’s important to me. 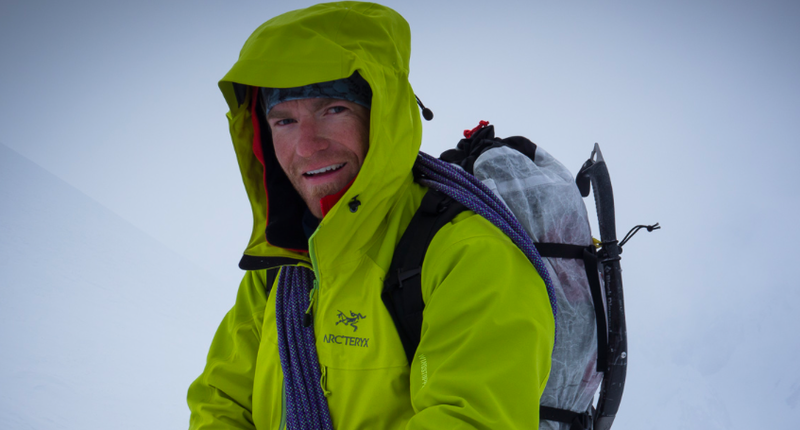 I look up to my buddy Chris (IFMGA Guide) for his skiing skills and for his stoke. His passion for the sport is contagious. I have sick roller skating skills. After traveling the US working outdoor education gigs, Ted earned his B.A. in Wilderness Leadership at Prescott College. It was there that the diverse geographic region of the Colorado Plateau and western ranges delivered opportunities to build a lasting connection to the mountains. Ted uses this experience coupled with a M.Ed. 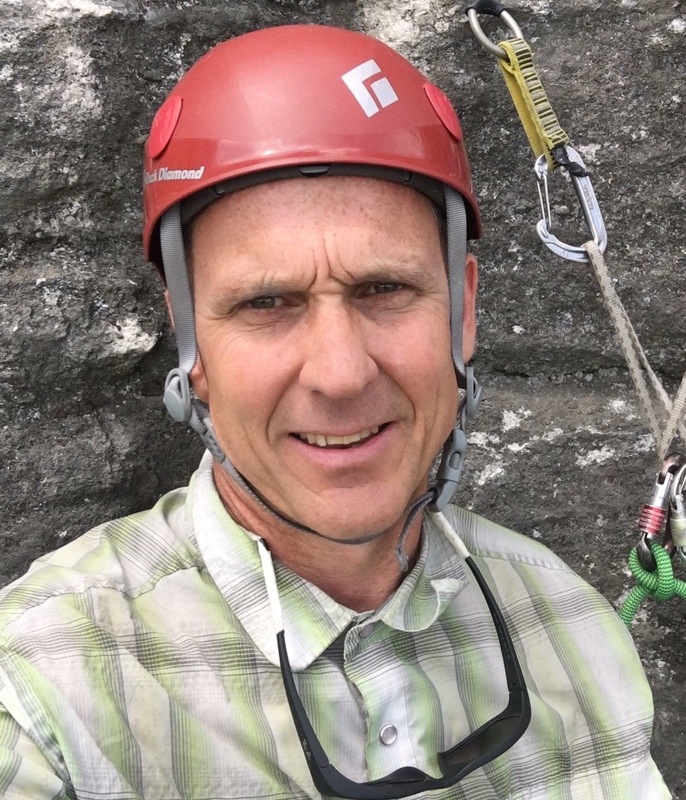 in Educational Leadership as the foundation for cultivating new climbers as the Director of Outdoor Education at The White Mountain School in New Hampshire, an AMGA Accredited Business. I was guiding three of my advanced students up the Eaglet in NH. Upon reaching the summit, classic spring Northeast conditions hit with wind and sideways rain. The group remained super psyched, laughing and having a blast. I sent one student down the rappel first with saddle bagged ropes and a huge grin. Lucy disappeared into the fog and that was that. I had worked with this group all fall as they developed into competent climbers. It was a perfect moment in recognition and reflection of the reality that they were ready to climb independently and seek their own adventures. Too many to list probably. I am inspired and motivated to pursue higher and further because of a number of people within “The Tribe” of climbers. Born and raised in Western Pennsylvania, I am fortunate to call Western Carolina home now. Prior to NC, I lived in Colorado for about 5 years. Besides climbing trees, I first tried rock climbing 10+ years ago and have been seriously afflicted with the climbing bug since about 7 years ago. Personally, I enjoy days of multi pitch trad climbing around Western NC, as well as time spent in The West. Particularly, Indian Creek. While I have far fewer days there then I’d like, it is a place that humbles me – in many aspects, each time I visit. 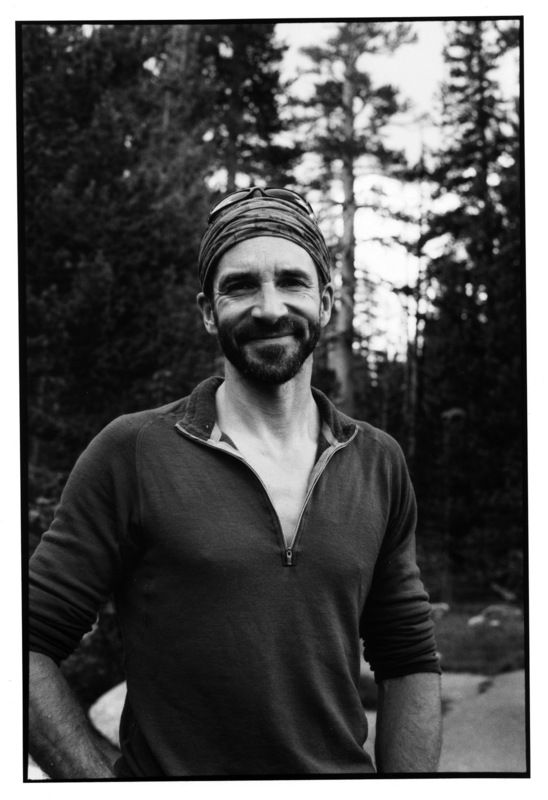 Furthermore, I’m proud to have lent a hand to a dear homie and writer Luke Mehall in co-founding The Climbing Zine – an independent rock climbing publication. I suppose those that have been doing it for lots of years have a definitive moment that they call “Most Memorable.” For me, however, I struggle to say one moment was above all better than the other. I fancy myself an in-the-moment person, and am delighted when a day spent outdoors guiding and instructing results in clients or students having their personal best days. This to me, is the epitome of what it means to guide and teach. Emilie Drinkwater. I have had the good fortune to spend a few days with Emilie in the mountains in the Adirondacks. I appreciate and admire her respect for the mountains and the understated manner in which she climbs, skis, and explores amazing places. Anywhere I can ski and see the ocean, like the Chic Chocs or Acadia. Who is your skiing hero and why? Erika Linnell – nordic ski instructor and NOLS instructor who lives in Victor, Idaho. She can shred on classic, skate and tele with grace! Abby began her career as an outdoor educator as an undergraduate in 1994. She has taught for Cornell Outdoor Education, Hurricane Island Outward Bound, College of the Atlantic, and served as the director of Colgate University’s Outdoor Education program. 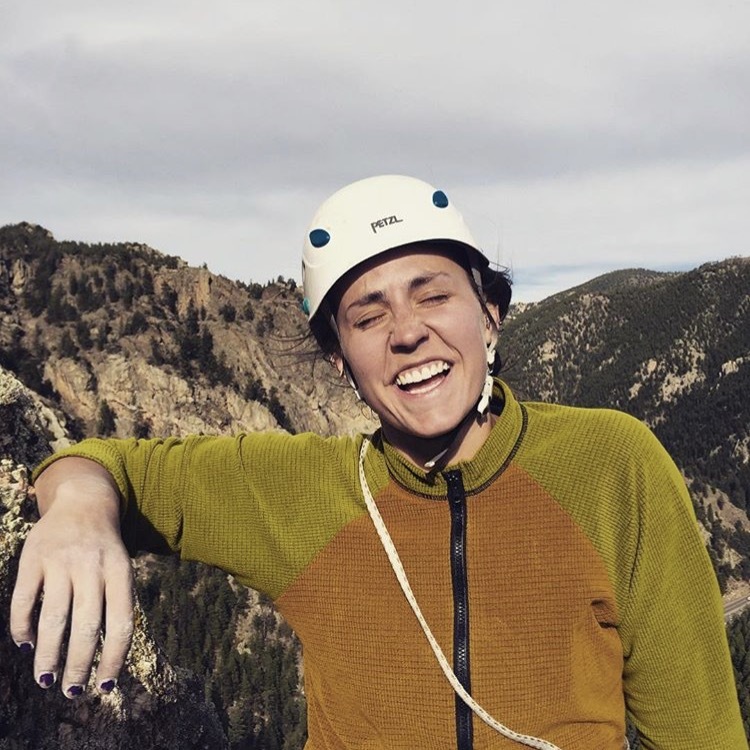 Abby is co-chair of the Diversity, Equity, and Inclusion Committee for the Association of Outdoor Recreation and Education and is passionate about reducing barriers for outdoor engagement for diverse populations. Abby can happily be found on rock, skis, in a variety of boats or hiking the local trails and carriage roads in Acadia National Park with her dog and partner. I assisted on a group trip to Red rocks early in my climbing career. It was amazing to see the group’s awe for the landscape and their fast progression as sport climbers! I look up to Hillaree O’Neil as a skier. She’s humble, skilled and badass. Most importantly, she’s still alive. Athletically, I really draw my inspiration from the true watermen of surfing. These guys know their environment like the fish and are extremely versatile in the way the move through it. Culturally, Anthony Bourdain’s curiousity about the world and non-pretentious way of approaching it is admirable. I guide human-powered skiing, exclusively, all-year round, which adds up to about 125-days on snow (or half-a-million vertical feet) annually. I own a guide service in Chile – Chile Powder Adventures. I live in southwest Colorado but am only home about a quarter of the year – otherwise I am in Chile, Canada, Asia or Iceland. I am a frequent contributor to Backcountry Magazine. I filmed with Sweetgrass Productions for four-years, appearing in Solitaire and Valhalla. I am an ambassador for DPS Skis, Skratch Labs, Zeal Optics, Dynafit and the Winter Wildlands Alliance. I was a ski instructor and race coach before becoming a guide. I speak (Chilean) Spanish fluently. My hobbies include photography and cooking. I love mountain biking. Sitting on a chairlift with a co-worker and a guest I did not know, I stated that I was a ski instructor. My co-worker, Doug Lunberg, who is older, but had fewer certifications / accolades to his credit, stated, “Donny, you may be a ski instructor; but I am a people instructor.” He didn’t mean this as a slight and I didn’t take it that way. We share our love for the mountains with people. It is our guest who should be the center of our attention. Anya Miller. Mostly because she’s my friend, but also because she’s really good. Chris Davenport. Keeps evolving and challenging himself throughout his career. My hometown is home of the world’s first rodeo. Originally from Colorado, Shane has lived in Seattle since 2002 where he loves exploring both the Cascades and the big city. 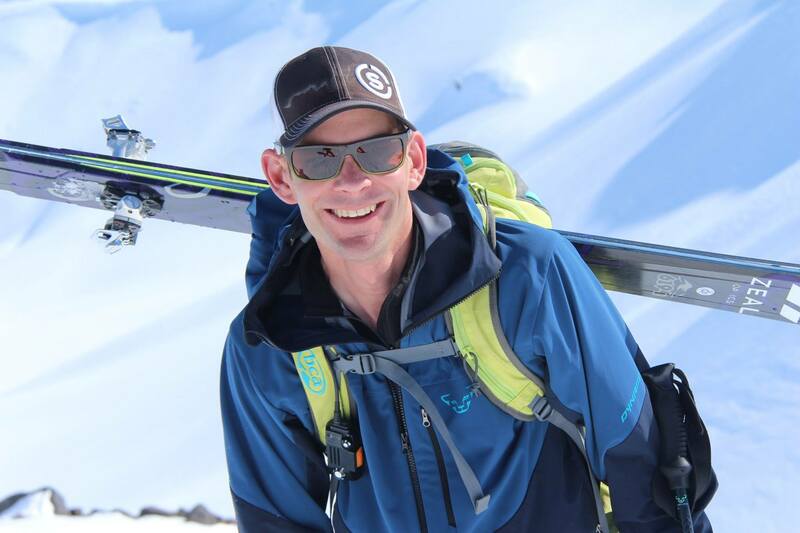 Prior to moving to the Northwest, Shane worked as a ski patroller at Squaw Valley in Tahoe, CA and Copper Mountain in Summit County, CO. Shane simply loves skiing, and when he is not ski guiding, he is likely skiing with his wife and dog, or sneaking a trip up to Canada for more skiing. When the snow melts you can find him whitewater kayaking, looking for a good swimming hole, or counting down the days until the next snowfall. A couple who are both resident doctors had been working really hard, and wanted a big day in the mountains. The conditions were perfect with full sun and great snow, and they were excited to just move. We were able to go for a big tour covering a lot of terrain, and by the end of the day they were just so giddy about our day in the mountains. It was a tour I’d done many times, but never with people so excited about the entire trip, and they changed the way I think about the tour and how excited people can be to just have a perfect day in the mountains. Learning to ski ice in the hills of Maine may have permanently warped my perspective – but I’m happy skiing anywhere in the American West that there is snow. Crossing the Campo de Hielo Norte (Northern Ice Field) in Patagonia – from the Steffen Glacier to the Colonia Glacier – with a NOLS course. We pushed a new (to NOLS) route with little prior information available to us, nailed a weather window, and perhaps most informative to me – as a person who works as a supervisor – I received little recognition for the high quality of the expedition, other than from my students, who know well what an amazing expedition they had been a part of. Keiko Tanaka- because as a mentor and friend she has shown me that if you apply yourself seriously, you can continuously heighten your climbing limits in a safe and smart way. She has helped me take ego out of a sport that as a minority member in this community can be difficult at times to grapple with and helped me to focus on what I want to accomplish and nothing else. Above all, she inspires and pushes me to succeed with support and carefully thought out instruction in the many facets of climbing that she excels at. At almost any point of any day, I am craving ice cream. Alejandra is a first generation American, daughter of Ruby Pozo and Oswaldo Garcés, and sister of Adibe and Ozy Garces. As children, they grew up listening to the stories of their parents’ travels, mountaineering adventures, and expeditions in the Andes. Alejandra quickly fell in love with adventure travel, climbing, and her family’s Ecuadorian culture and history. 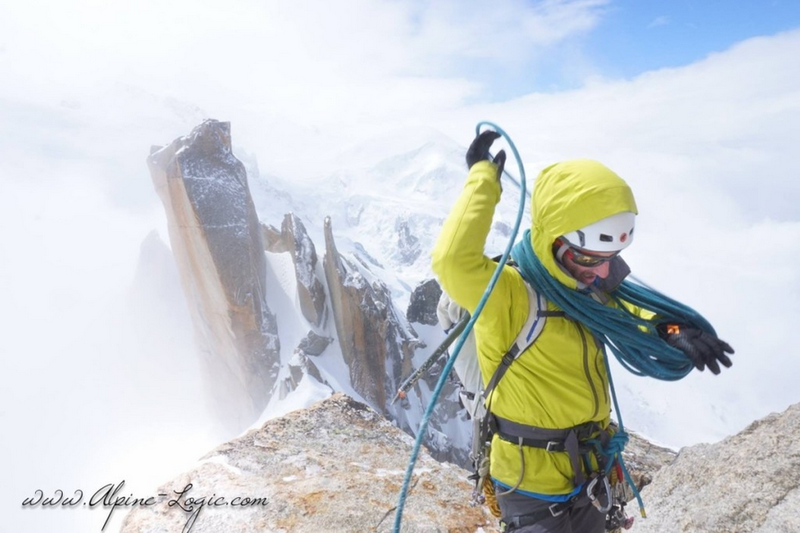 In college her passion for these pursuits grew and upon completing her Bachelors in Inca History, she moved to the Colorado Rockies to pursue those dreams of climbing and eventually, guiding. 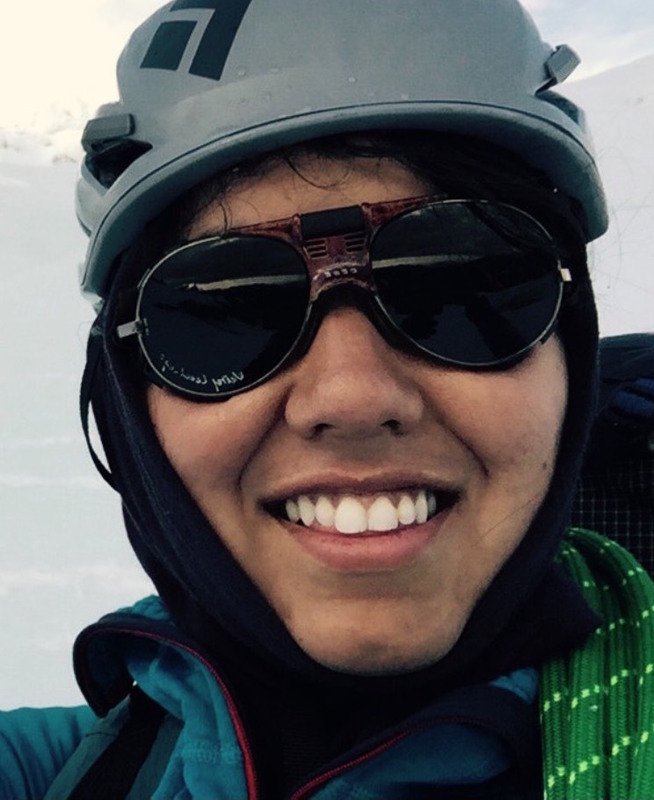 Alejandra recently moved to the Pacific Northwest to work for the American Alpine Institute. She is very excited to start taking steps towards her goals to learn, develop, and grow as a mountaineer and live up to the dreams her parents share with her. My most memorable moment when instructing rock climbing was when I was able to take my brother, Ozy, climbing in Boulder, CO last year. Sharing the information and knowledge that I have learned and experienced about rock climbing, and getting my big brother safely to the top of our first climb together was truly a special and cherished moment in my life. Similarly, taking my sister, Adibe, cragging and watching her push her limits and succeed in climbing, something she has never held much interest in, was an incredible thing to watch and a true honor to be a part of. The man who taught me to climb, EVD. He provided the resources to help me get on the rock and take me outside. He had an unreal amount of patience and time, allowing me to learn the basics of both technique and safety. I am a Colorado Native, I grew up in South Denver hiking, camping and playing outside! 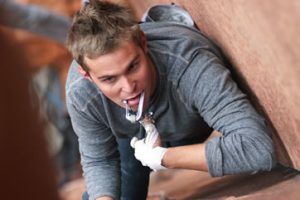 I attended CU Boulder, while there I dove deeper into outdoor recreation and learned how to climb through a mentor. 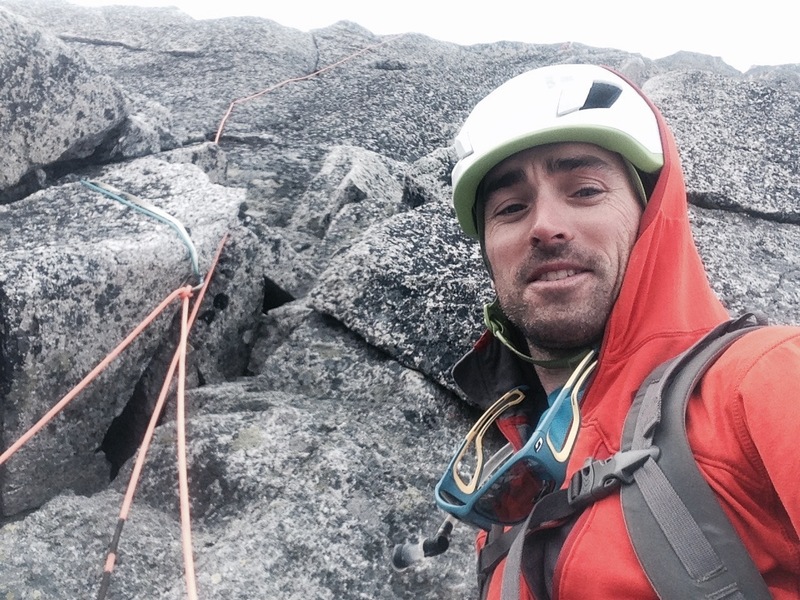 As I devoted more time to this new obsession, climbing quickly gained traction and became a focal point in my life. 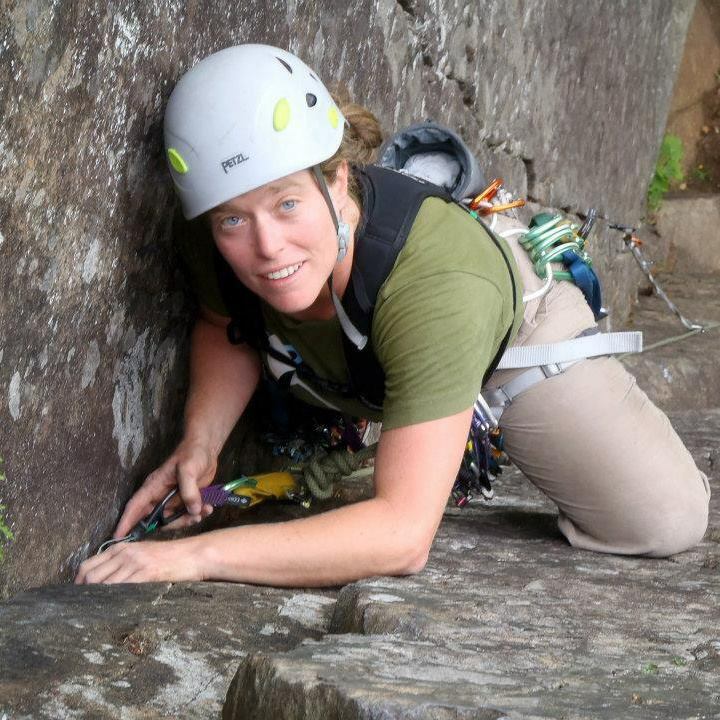 I currently work at the Boulder Rock Club and instruct for Women’s Wilderness where I am able to teach technical skills and take groups out climbing. I enjoy cooking, traveling and spending time with family and friends. I love my community, dancing, sunshine and cows! My most memorable experience was working with a group of extremely diverse high school girls in Vedauwoo WY. Most likely these girls would never cross paths in their lives, however for a week they shared tents and trusted each other, sharing a rope. They learned where their mental and physical limits are and just how to start pushing them. They endured and embraced the discomfort of pounding rain, ridiculously sharp granite and living with strangers. By the end of the week the girls discovered the magic of hand jams, connection with the natural world, and how we can use just that to unlock the possibilities inside us! I have always looked up to Steve House. For me, he changed the way we approach alpine climbing objectives and encouraged focusing on the entire experience of the climb, not just reaching a summit by any means possible. 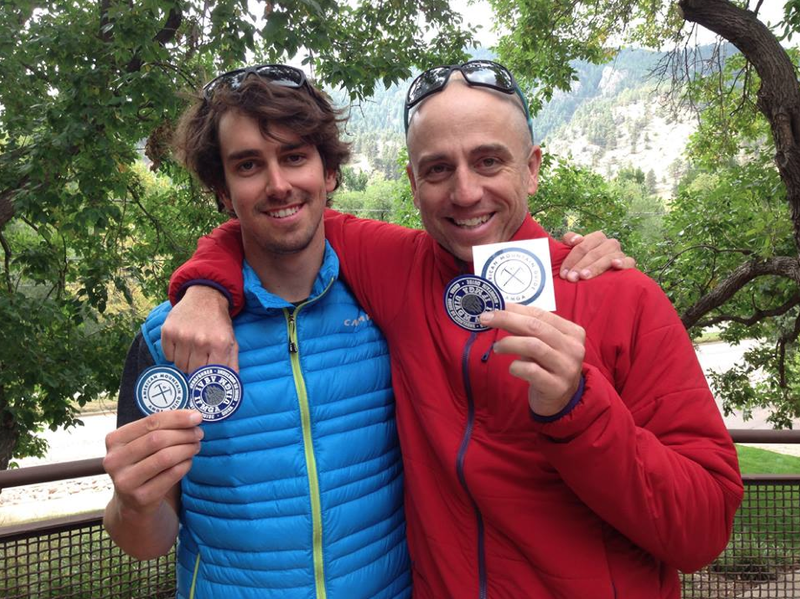 He has been a major in influence on making my own climbing pursuits a richer and more fulfilling endeavor. I started guiding in 2011 after a memorable internship in Ecuador and Pakistan. I fell in love with helping people learn, meet their goals and surpass their perceived limitations. Guiding has taken me places, introduced me to unique cultures and provided me with a sense of satisfaction beyond my wildest imaginations. Everything from secret ice climbs in Colorado to the high mountains of the Karakoram and everything in between. I can’t wait for what’s next. In 2011 I was invited to Ecuador to shadow a guide on a 14 day Ecuador volcanoes trip. I had no real aspirations to be a mountain guide at the time, I went to see what it was all about. By the end of the trip I had fallen in love with the profession and knew it was what I wanted to do. The satisfaction I received from helping the guests succeed and learn during the trip was unparalleled to anything I have ever done before. Tough question, but I would have to say Todd Skinner. His mindset for climbing was a progressive one that involved making climbing in general less work and more fun. He brought free climbing to big walls and made hang dogging acceptable. I think it was his ideas that have paved the way for making climbing more mainstream and acceptable to the general public. People don’t like the idea of spending weeks or months on the side of wall, but getting to the top of a multi-pitch route in a day is the small accomplishment and adventure that people love to add to their lives, and it’s thanks to Todd Skinner. I fell 120 ft off a mountain once, and I think it was the worst and best thing to ever happen to me. 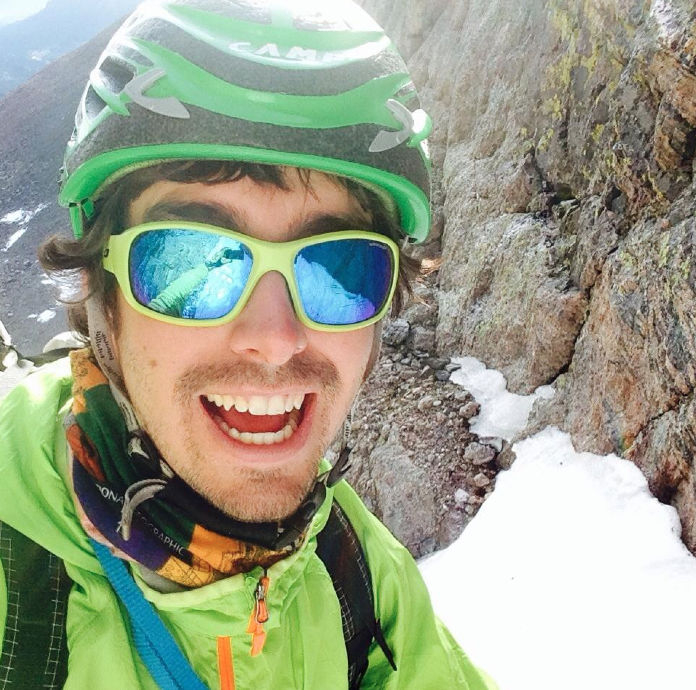 Albert Alvarez is from El Paso, TX and is passionate about running, rock climbing, and the great outdoors. His lifelong dedication to these three things has served him well in life and have always been his avenue to success. 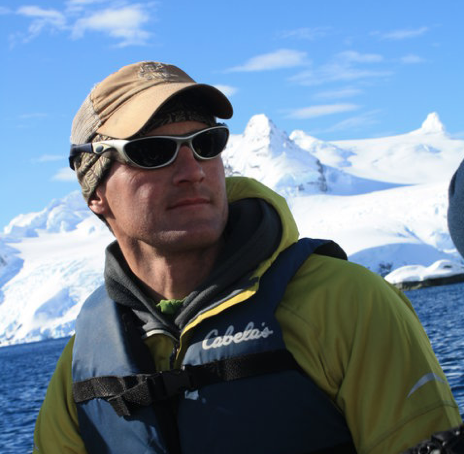 Albert decided to pursue a career as a professional guide because his first hand experiences with AMGA guides were beyond his expectations, and he himself wanted to bring out the best in others just like his mentors and guides did for him. 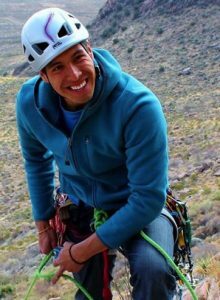 It was with this mindset that Albert returned to El Paso to start his own climbing and guiding business in and effort to share his passion for climbing and the outdoors with others. There are two things I always remember as a guide. First, I always remember when things go wrong while guiding, and everything I do to face the adversity while ensuring my clients are clueless to the mishap. Stories like that are great for fires (or blogs), and make me a better person/guide. Secondly, I always remember the feelings I get from watching a client become comfortable in a situation that is normally beyond their comfort. The moments where as a guide I get to see individuals face their fears and become a better version of themselves as they overcome them.